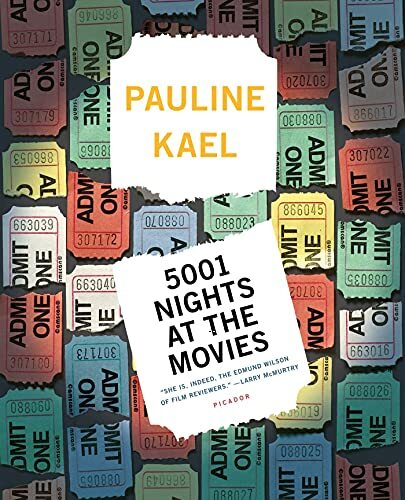 Of the half-dozen top American movie critics of the twentieth century, Kael remains arguably the most influential. She was fearless, singsongy, friendly, cutthroat, opinionated, and charming, but above all, she loved movies. Her reviews were never dry, and she put herself in the place of the common man, never talking down to readers. We identified with her. She had a preoccupation with Bernardo Bertolucci and Brian De Palma, but she was not above picking apart a beloved classic. Her positive reviews of Nashville and Last Tango in Paris are still famous and are re-read and studied. Her favorite movies are still Griffith's Intolerance and the W.C. Fields movie Million Dollar Legs. She wrote about film for thirty years, and nearly every single piece has been published in book form. All of her books are worth reading, but for budgetary concerns, these are the two that are essential. 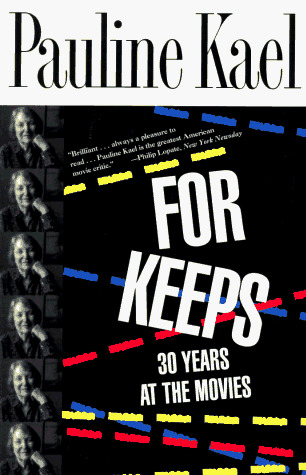 For Keeps is a collection of the best full-length reviews from her entire career. It's a good cross-section of her work, and it includes her famous scathing essay Raising Kane, in which she argues that Orson Welles was not the auteur of Citizen Kane. 5001 Nights is a book of capsule reviews of thousands of movies from the beginning of the century to her retirement in 1990. It's better for a quick reference.